Coverage applies only to the component groups listed herein. Mechanical Seals and Gaskets are covered for all of the components listed above. Optional tire protection covers replacement or repair of tires damaged due to road hazard. This optional coverage is available for an additional nominal fee. When it comes to extending the coverage on your travel trailer or 5th wheel, many owners are aware of the warranty and extended warranty options available when you buy your RV. However, a Good Sam Extended Service Plan is better than a warranty because it's an insurance policy against mechanical breakdowns. * Let's take a look at the differences. You'll never have to worry about the high cost of repairs that come with a mechanical breakdown of your travel trailer, knowing you're protected by a Good Sam Extended Service Plan. Enjoy traveling the open road with your family and friends without the stress of footing the bill when the inevitable repair is needed. 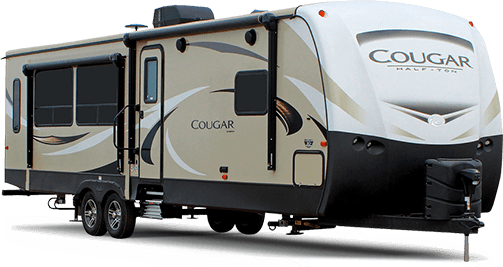 A travel trailer manufacturer's warranty ensures the manufacturer will make repairs that stem from defective materials or improper manufacturing. But, even the best 5th wheel extended warranty can't afford you the broad coverage and protection from mechanical failure you can expect from a Good Sam Extended Service Plan. Plus, there's no long-term commitment with Good Sam's mechanical breakdown insurance. If the cost of your extended warranty gets bundled with your loan, you could end up paying interest on it along with your travel trailer. Plus, extended warranties can be more expensive and often require you to make a lump sum payment right away. That's no way to save money. With a Good Sam Extended Service Plan, you'll pay monthly, as you go, with no surprise price hikes. Your policy is locked in for the first three to seven years of your membership. Many Good Sam Extended Service Plans pay for themselves with just one or two claims, making it a wise choice. When asked whether or not they would recommend a Good Sam Extended Service Plan, 90% of Good Sam ESP members said, “yes.” Not only that, but, 80% of Good Sam Extended Service Plan policyholders file a claim for covered repairs within the first year. Travel trailer warranties are not insurance and aren't strictly regulated by the insurance industry. That means your warranty could be voided if the provider goes out of business. That's not the case with a Good Sam Extended Service Plan, which is protected by an A+ rated underwriter. With any travel trailer warranty, specific components might be covered for different lengths of time. But you don't have to worry with a Good Sam Extended Service Plan because all components are covered for the entire length of the policy.